Ignore the small mistakes if it is not material enough to affect your company. If it is significant, close the matter with a simple explanation without creating a scene in front of the entire team. Always let the working staff at any level of the organization express their opinion freely without any restriction. Let their voice be heard and welcome all ideas. What appears to be a bad idea or silly question can lead to a positive conversation that opens up a new relevant topic to be explored. Allow employees to ask questions and raise doubts if they have any difficulty in following instructions. It's always better to proactively clarify than to reactively fix. You have a built-in group of influencers in your store, each with social media channels that could reach new audiences. Have an optional contest of who can get the most likes and shares from their networks of your store's social posts and pages. Encourage employees to think of new posting ideas and give the winners a non-monetary reward like the first choice in scheduling preferences. Everyone has hobbies outside of work whether its sports, music, theater, art or even their kid's sports or competitions. Get to know who they are by attending their activities to show your support. 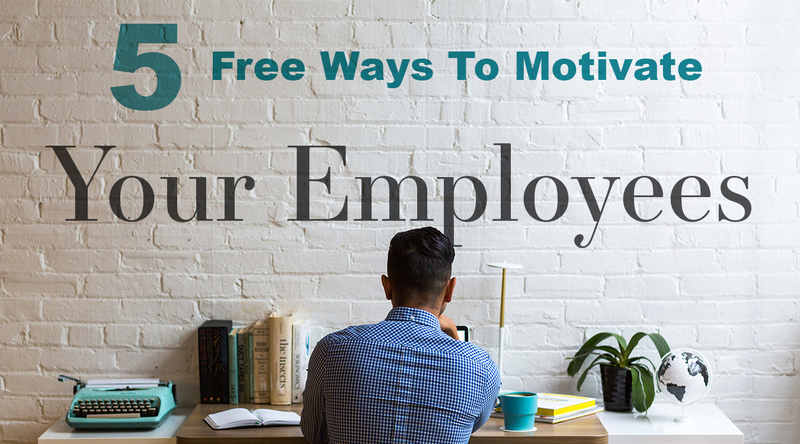 This knowledge will help you in coming up with new ways to motivate the employees. Everyone has distinct needs, and the policies should be framed to cater them all. It is a common myth that overload or additional work does not motivate an employee to work. In fact, in many instances this not case. The delegation of extra work might simply show an employee that they are trustworthy and deserving of their job. In retail, staff compensation is often similar across stores and industries. It's the environment and your team's feeling of belonging and being appreciated that makes the difference between them staying and leaving.